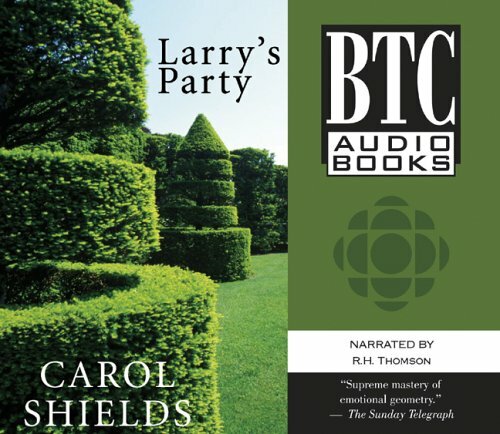 Larrys Party was written by Carol Diggory Shields. Larrys Party was published by Recorded Books. About Alyssa Bresnahan (Narrator) : Alyssa Bresnahan is a published narrator of children's books and young adult books. Some of the published credits of Alyssa Bresnahan include Grave Surprise (Harper Connelly Mysteries, No. 2). 3/14/2009 Sarah Butland said: An amazing tale of love lost and gained, motivation and inspiration and in such a simple complex tale of Larry and his friends and family. I would recommend this to anyone and have sent it on for a friend to enjoy.